"Don't Mess With Texas," is more than a motto; the statement permeates the land and culture of the state of Texas, being the largest continental state in the Union. With a southern border adjacent to Mexico, a good portion of the state is influenced by Hispanic culture and lifestyle. Major urban centers are located in Dallas/Ft. Worth, Houston, and Austin. That said, plenty of towns dot the state, making it the second largest population by state in the U.S. Texas also has a major manufacturing base, leading the country in exports in terms of both raw and finished goods. Texas also has a booming industry base in technology, energy, aerospace, electronics, biomedical production, and aerospace. The Lone Star State, which is the second largest by area, is more than over 26 million Americans. The TX gross state product is over $1.2 trillion, which is comparable to Canada's GDP. There is no state income tax, which has made Texas a popular destination for residents of other states. It is widely considered one of the most business friendly states as well. As of this writing, the median TX home value is around $130,000. However, as you already know, Texas is an enormous state, and unsurprisingly home prices can vary greatly from one city to another. By median sales price, the most expensive towns are Horseshoe Bay and the Woodlands, where a home will cost about $1 million on average. Cities like Copperas and Texas City are more affordable, with a median sales price of under $120,000. All told, TX has 34 cities with a population of 100,000 people or more. Houston is the 4th largest American city and 5th biggest metro, with a total population of around 6 million. It is home to the second most Fortune 500 companies in the nation, trailing only NYC. The Houston metro alone produces around 33% of the gross state product in Texas. The local economy is driven by energy, manufacturing, and services. San Antonio has grown rapidly over the past 20 years, and it is now a top 10 American city. The city is perhaps best known as the home of the NBA's Spurs, who have won 4 championships in the last few decades. The military has played a large role in SA's growth, with multiple bases located in the city. San Antonio is also a popular tourist destination, where visitors take in sights like the Alamo. Dallas is the a top 10 American city and its metro employs 3 million Americans. The total population of the Dallas-Forth Worth-Arlington metro is over 6.5 million as of this writing, making it a bit larger than Houston. Dallas is home to Comerica Bank, American Airlines, and JCPenny. Austin is the state capital and the location of the University of Texas at Austin, one of the top public universities in the nation. The local population is exceptionally well educated, and many major corporations like Dell, AMD, and Whole Foods call Austin home. With its enormous population and economy, Texas is also a force to be reckoned with when it comes to banking. As we mentioned earlier, Comerica Bank is headquartered in Dallas, and many of the major banks have branches serving TX businesses and residents as well. Of course, there are also many local banks, some of which are very large in size, and credit unions to choose from. Below, we've listed a selection of financial institutions in the state. If you want a more complete list, check out this link from the Texas Department of Banking. Whether you're new to the Lone Star State or a long time resident, there's no shortage of choices for all your banking needs. Choice is good, but sometimes it can feel a bit overwhelming. RateZip.com can help you sort through these financial institutions and compare rates on just about any consumer banking product. Many have considered relocating to Texas as the state tends to be doing better than other locations. After all, there are jobs, culture, and no state income tax. RateZip.com can help such planning, providing a detailed database of mortgage rates and lending for the region from Texas banks and lenders. As with banking, there are many choices in who to work with when getting your mortgage loan. The first option that many think of is a bank or credit unions, perhaps the one that you're already banking with. This can work out, but you're making a major financial decision, so it's important to do some comparison shopping. You may get a better deal from a mortgage bank, a company that only originates home loans. Homeowners in TX may also want to consider various government programs. The major ones are FHA mortgages, VA loans, and USDA home mortgages. FHA home loans are insured by the Federal Housing Administration, and these mortgages have grown in popularity in recent years. One reason is that the FHA offers an excellent option for first time home buyers who may not have enough money for a 20% downpayment or have a less than perfect credit score. Although you'll pay more in insurance premiums, the FHA loan makes homeownership possible for a potentially underserved segment of the US population. VA loans are insured by the Department of Veterans Affairs and are available to veterans of the armed forces. Like FHA loans, a VA mortgage requires a smaller downpayment than conventional loans and has more flexible credit standards. 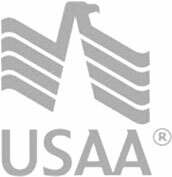 USDA home loans are insured by the US Department of Agriculture. These mortgages are designed for people living in sparsely populated towns and who make no more than 115% of the local median income. Though Texas is full of big cities, there are many areas where a USDA mortgage can make sense.